A family of Tawny Frogmouths had settled for a nap outside our window yesterday. They were quite longsuffering about the funny-looking human on the other side of the glass who kept pointing that shiny little silver box at them. ~ by Garry on February 4, 2012. 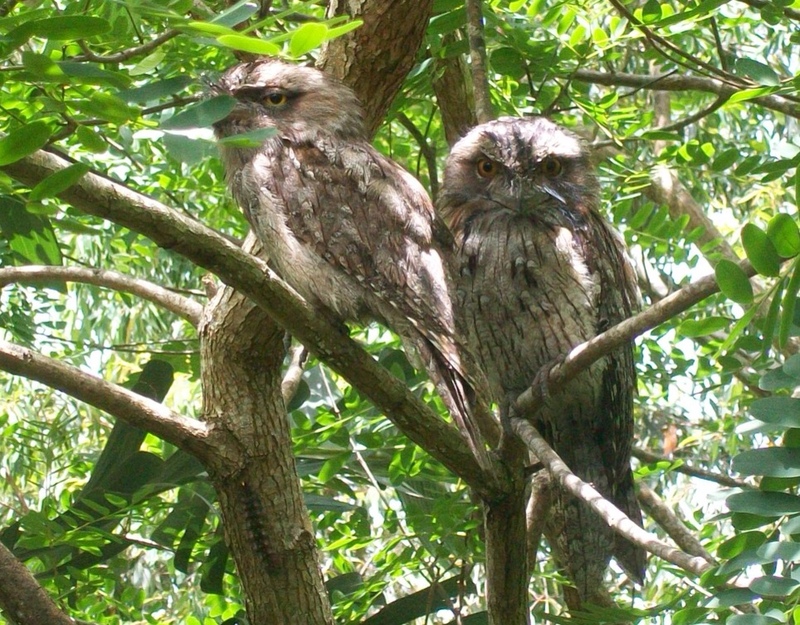 I always thought they were owls, but in some research for an article a few months ago I learned that Tawny Frogmouths are actually memebers of the insect eating nightjar family. The “mopoke” call you hear at night is made by the boobook owl. These are true raptors and eat mice etc. Both are very cool birds, but it’s always a bit of a shock when 37 years of towering misconception gets cut down in one fell swoop! Hope you’re all doing well up there in your beautiful little valley. And in my case it is 52 years of towering misconception, by no means the most serious of many that I still carry around no doubt!